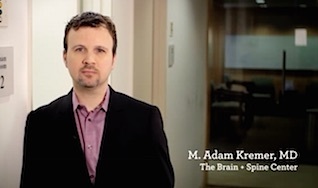 M. Adam Kremer, MD is a board certified neurological surgeon at the Brain + Spine Center. He evaluates patients to determine whether surgery would be right for them or whether other treatment options might work even better. “I want the patient and their family informed and involved. I get very excited about educating patients and their family so that we can decide together what’s the best plan,” communicates Dr. Kremer. Dr. Kremer graduated from Vanderbilt University School of Medicine with honors. While there he performed research with the Department of Anaesthesiology, evaluating the effects of nicotine on the development of children; with the Department of Pediatric Endocrinology, evaluating cystic fibrosis; and with the Department of Chemistry, publishing in the Journal of Molecular Spectroscopy. He volunteered at the VA Medical Center in Nashville. He attended Vanderbilt University Medical School and continued his interests in research, studying the genetics of liver regeneration under Dr. William E. Russell. He worked at the Mental Health Cooperative under Dr. Roy Q. Sanders, providing emergency psychiatric care to adults and children. Dr. Kremer was involved in researching the neurobiology of antidepressant medications under Dr. Richard C. Shelton. He completed neurosurgery residency at Vanderbilt University under Dr. George S. Allen. His research involved working with Neol B. Tulipan to develop an animal model for Chiari malformation. Dr. Kremer’s training included performing complex spinal surgery and brain surgery at Vanderbilt Medical Center, as well as at St. Thomas Hospital treating patients with routine degenerative and painful spinal conditions. Since January 2004, Dr. Kremer has treated more than 3,000 patients with spinal problems, including pinched nerves, disk ruptures, bone spurs, fractures, cysts, and tumors. He is a member of the American Medical Association, Congress of Neurological Surgeons, Michigan State Medical Society (MSMS), CNS Congress of Neurological Surgeons (CNS), and the American Medical Association (AMA). He also is active with the Wheelchair Tennis Association, Ms. Wheelchair Pageant Association and Hospice of North Ottawa Community. The Kremer family includes his wife, Amy and their three children, Addison, Annabelle and Amelia. 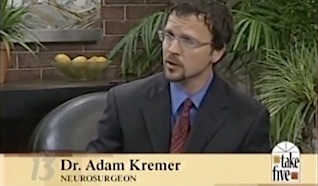 When Dr. Kremer is not at the office or giving various community talks on neurosurgery related topics or lectures to clinical staff on the latest neurosurgy techniques and care, he enjoys boating, fishing, spending time with his family, bow hunting, geocaching, camping, reading and tennis. 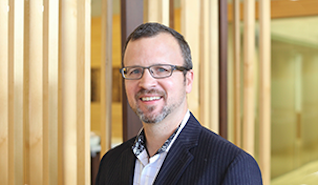 Dr. Kremer has written publications for the Journal of Neurosurgery: Spine and the Journal of Molecular Spectroscopy.